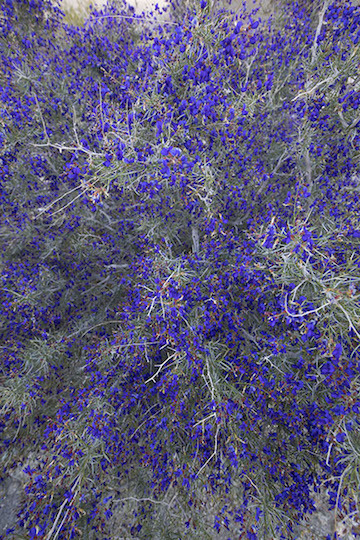 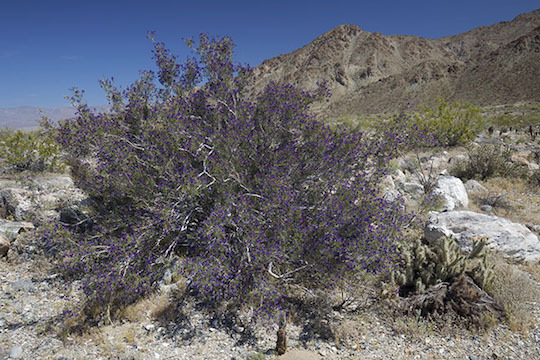 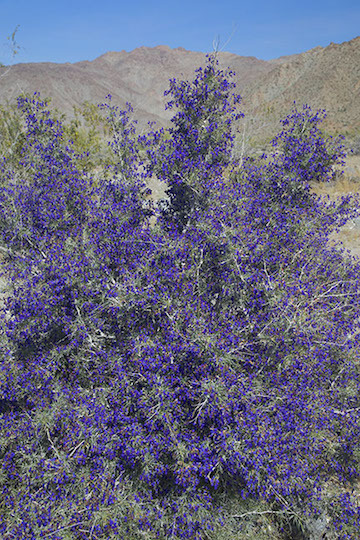 The indigo bush (or indigobush) is a dull-colored shrub with small but intensely blue flowers. 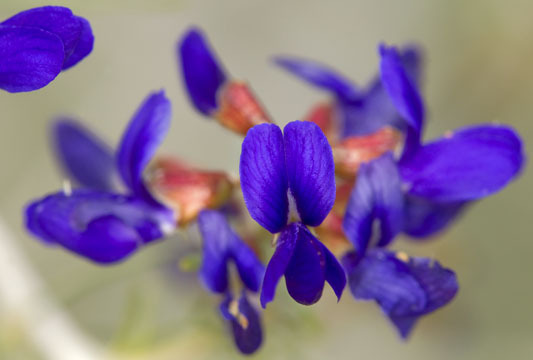 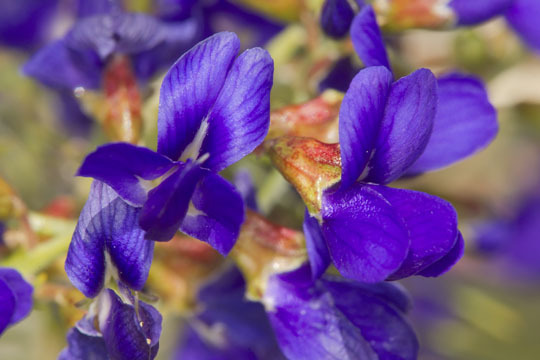 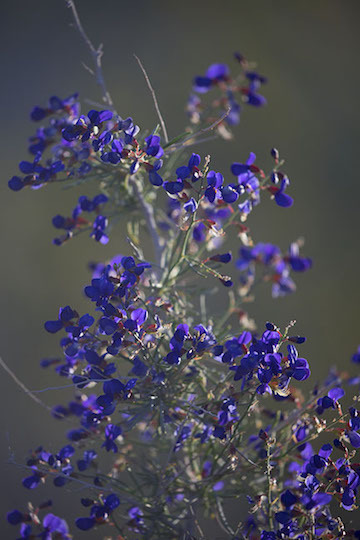 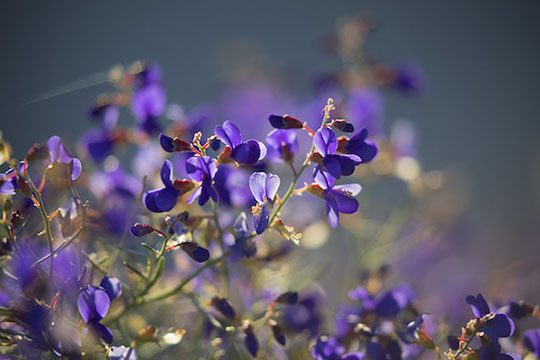 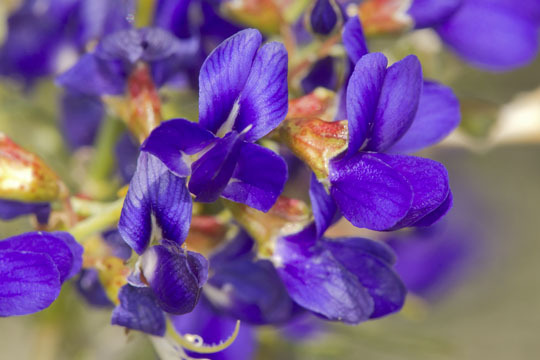 It grows in sandy soil, usually in washes or other drainages, in the American southwest. 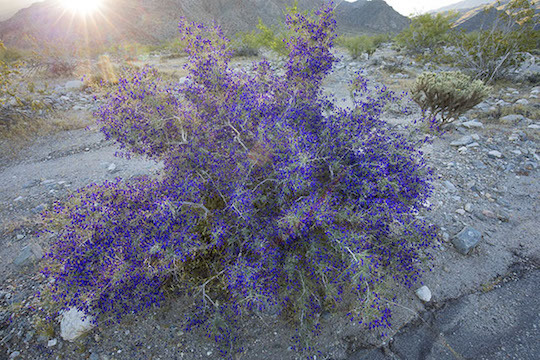 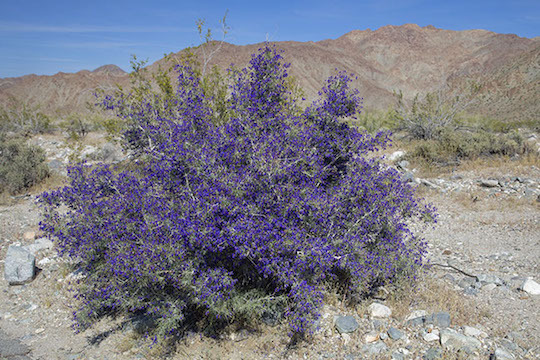 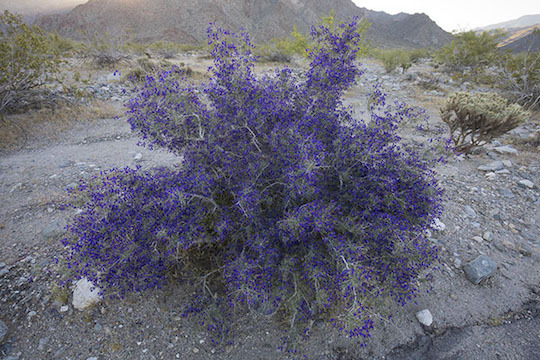 These flowers were photographed along the Palm Canyon Trail in Anza-Borrego State Park and near Palm Desert, both in southern California.